Celebrating the 150th anniversary of the Treaty of Amity and Commerce between France and Japan, this exhibition displays 276 pieces from amongst the 1370 objects in the archives of Cartier, France’s representative jeweller and other collections. Designer Yoshioka Tokujin will be dramatizing the stories of the various articles of jewellery. 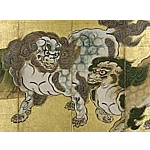 This exhibition, The National Treasure Ashura, is being held to commemorate the 1300th anniversary of Kohfukuji in Nara. The treasures of Tenpyo era (729-49) sculpture will be displayed together, including the hachibushu statues ('eight classes of divine protectors', including Ashura and Karura, all national treasures) and the '10 great disciples of Buddha' statues (6 statues still extant, all national treasures.) This is the first time these statues, all from Saikondo (the old Western Main Hall), have been displayed together outside the temple. Furthermore, this exhibition features the objects buried under the Chukondo ('Central Main Hall') to pacify the ground and Buddhist statues from the temporary Main Hall. 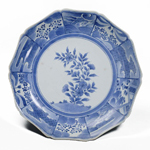 The sometsuke (underglaze blue) technique, of painting a design in cobalt-based pigments on a white porcelain base and coloring it in vivid indigo, was perfected in China during the Yuan period (1271-1368). Eventually, this technique came to Vietnam, Korea and Japan, and sometsuke full of individuality was produced in many areas. This exhibition features sometsuke from all over the East and introduces them from several viewpoints, looking at the liveliness of the designs, the beauty of the ground and the intimate connection they had, as vessels, to daily life. Starting with the sacred treasures of Ise shrine, both ancient and later, this exhibition will display around 100 treasures connected to the shrine or donated to Ise by emperors and shoguns. While taking a journey back through the history and religion of Ise, this exhibition also looks closely at the ceremonial system of Shikinen Sengu, a system whereby the temple is reconstructed every 20 years according to ancient, traditional ways. The exhibition also looks at how Japanese architectural beauty and construction skills have been transmitted through this system. Throughout the ages, Shinto has fostered and developed history and tradition. This exhibition shines a light on Shinto art and introduces the flowers of Japanese traditional religious art. Commemorating the 20th anniversary of the Emperor’s enthronement, this exhibition will showcase masterpieces of Japanese art closely related to the imperial household. The exhibition will be held in spans of two periods, each consisting of entirely different selections of works. This is one of a series of overseas exhibitions organized by the Agency of Cultural Affairs which is being shown domestically on the occasion of its return. This exhibition (held at the British Museum, UK; Thursday, September 10 - Sunday, November 22, 2009) showcases dogu clay figurines, which are known as representations of the spiritual world and the belief of Japan’s ancient Jomon people. This is a rare opportunity to see the most important works of this genre, including three National Treasures. Sensitive yet extravagant, silent yet powerful: the breadth of Hasegawa Tohaku's work and the drama surrounding their creator are introduced in this retrospective which commemorates the 400th anniversary of his death. This exhibition guides the viewer through a comprehensive selection from Tohaku's oeuvre, ranging from early paintings left behind in his home town of Nanao in Ishikawa prefecture, to works bearing his famous "Tohaku" signature which were produced on-site at renowned temples in Kyoto.